BetSoftGaming, the creator and innovator of 3D movielike games, has unveiled two casino favorites for players who enjoy playing games while on the go. These games are mobile Blackjack and Mobile Roulette: two timeless classics that can now be enjoyed by anyone with smartphones devices. According to Anthony Locke, the head of Product Development, these BetSoftGaming games of Blackjack and Roulette are perfectly compatible with the newest mobile apparatus in the market such as iPhones and iOS6. He also explained that as the market introduces more advanced devices and software, BetSoftGaming will develop games suitable for such advances. This will ensure that every mobile casinos enthusiast can access all the games using the latest technology. Note that along with the two aforementioned games, BetSoftGaming will also be releasing mobile versions of already popular games like The Slotfather, 7th Heaven, and Three Wishes. All these are expected to be out in the weeks to come with many others to follow. This well-known company boasts an unrivaled reputation for its advances in real 3D movielike games. BetSoftGaming isn’t only considered a leader, but a first level developer and provider of top notch software. Its list of games provides players with over 100 choices, including the famous Slots 3tm series. BetSoftGaming has also excelled in creating console video games and animated movies. It comes as no surprise that its clientele comprises many of the top operations in the casino industry. During this week’s upcoming European iGaming Congress and Expo set to take place in Barcelona, software giant EveryMatrix Ltd. will announce the unveiling of Mobile360, a new mobile version of its already popular GamMatrix casino and rewards management platform. For those who don’t know about it, the London-based EveryMatrix is the same firm that created OddsMatrix mobile Betting. The company has indicated that the soon to be released Mobile360 will showcase a mobile interface that will allow players to make deposits and withdraw their wins while on the go. It will also include a vast array of payment methods, which will be compatible with iPad, iPhone, and of course the majority of Android-enabled devises. EveryMatrix has also suggested that Mobile360 will bring the sports and casino favorites together all within one web application. It will offer complete bonus and mobile casino payments functions so that players may count on a “single place” for all their gaming activities. EveryMatrix issued a statement explaining that the new version comprises features from the GamMatrix casino site while allowing gamers customize the lobby in order to maximize their profits. Vendors like BetSoft Gaming, Microgaming, International Game Technology, Play’N’Go and Net Entertainment are now offering top games that remain popular with mobile gaming enthusiasts enjoy. More games will be added in the final months of 2012. EveryMatrix has stated that the Mobile360, which can be checked out at M.JetBull , will also include the OddsMatrix service, and will therefore allow customers to place bets utilizing the same lobby. Ebbe Groes, Chief Executive Officer for EveryMatrix, said that this “solution” won’t only provide operators with a new product and ample gains within what’s considered a fast emerging market, but will allow gamers to access their gaming accounts, make cash transfers, play sports and casino favorites all while using their mobile phones or tablets. Probability, the well-known mobile gaming software specialist which operate two of the best mobile casino brands Ladylucks.co.uk and Moobilegames.com , has announced a new partnership agreement with the “freemium” game developer and publisher Glu Mobile Incorporated. This means that Probability will create a suite of superb slots titles for Glu, the developer of smartphone and tablet games. Probability, a name that appears on the list of the Alternate Investment Market on the London Stock Exchange, will unveil a wide range of mobile slots games based on popular titles from Glu Mobile. These will include Contract Killer, Gun Bros and Deer Hunter to name but a few. The games will be released to online gaming enthusiasts in Italy and the United Kingdom. Charles Cohen, CEO for Probability, commented that the company is pleased to be partnering with a name that’s considered a leader and innovator in the “freemium” mobile gambling sector. Probability has locations in Gibraltar and London. Mr. Cohen went on to say that they’re looking forward to a long-term relationship with Glu Mobile, as they hope to reach far beyond their regulator borders in order to capture new markets around the globe. Niccollo De Masi, President and Chief Executive Officer for the San Francisco firm Glu, stated that mobile gaming is gaining momentum everywhere around the world. He also said that the company anticipates expanding its investments into sub-sectors, once real-money mobile gambling markets explode in popularity around the globe. He indicated that they see real-money mobile gambling as a chance to reach new demographics with the already successful IP while deepening their commitment to customers and offering bigger rewards to their players. Mobile casino players have something new to celebrate! MFortune one of the first mobile casino operators in the UK has unveiled an out-of-the-ordinary loyalty points shop for the mobile bingo games which includes new methods for rewarding gaming enthusiasts. However, this doesn’t mean that Bingo lovers will lose out on weekly promotions. On the contrary, the loyalty shop will work in tandem with weekly bonuses so that players can earn more than ever before. So what does this actually mean? Since the loyalty shop was launched on the 1st of October this year, anyone who buys a Bingo ticket will win mFortune points. These can be cashed in or exchanged for a variety of gifts including iPhones, cars or skydiving vouchers. This is certainly the most exhilarating innovation mobile Bingo players have seen in years. The loyalty Comp shop will allow the U.K. based casino to reward players with millions. James Goode, the casino’s head of marketing, indicated that mFortune mobile casino is constantly seeking for ways to reward its customers, and that they want players to be able to select the prizes of their choice. He added that the loyalty shop is the answer, and that focus groups that have tested it have rendered nothing but positive comments. Note that the loyalty points shop will only be offered to Bingo players at first; but the casino plans to make sure that it will soon be available to those who enjoy other types of mobile casino games such as Poker. It’s also worth mentioning that mFortune’s bounty of mobile app games rank among the best in the U.K. and they feature more than £20 million in prizes every month. The casino isn’t just known for its huge weekly prize drawings, it also enjoys a reputation for quick payment turnarounds. Players can access any of mFortune’s 12 mobile games and enjoy them while on the go using most mobile devices. And best of all, they don’t have to pay for them until they receive their mobile bill. mFortune casino is now a recognized name in the mobile gaming industry and has been the past recipient of the “best mobile Bingo operator” award. With this new loyalty shop, there’s no doubt it will continue to grow and excel in the mobile gaming sector. The already popular three-dimensional online Poker portal PKR.com introduced a new, free Roulette application for players who utilize mobile devices with the iOS operating system. They have recently announced that everyone can now enjoy the app by downloading it for free. And if this wasn’t exciting enough, PKR stated that they would release the real-money Roulette mobile version in December right before Christmas. Soon thereafter, they’ll release the mobile Blackjack app. Gamers will be more than impressed with the new Roulette app since PKR indicated that the graphics and the game itself are powered by the industry giant Unity Engine. The game will showcase animations that will feature the kind of quality PKR is known for including sharp graphics and realistic game play. In a statement issued by PKR it was revealed that the game will allow mobile roulette enthusiasts to create an avatar and change their appearance in order to build their “play money” funds just as they would on the Poker platform. PKR.com added that players will have the chance to earn “50 Apple Game Centre achievements” when enjoying the Roulette app. And for those who love the game of Poker but are unfamiliar with the joys of Roulette, the new app will provide them with a comprehensive tutorial which will teach them the rules, while allowing them to score points. This will enable them to access the avatars, the casinos and the tables designed for high rollers. PKR.com announced the convenience of playing on the go. Players can spin the Roulette wheel while commuting, while waiting for a seat at a Poker table, or even when they’re bored at a public event. PKR.com’s representatives are very excited about their new product and can’t wait to introduce the real-money app to the general public. For PKR.com, seeing players get excited about winning their Roulette bets is a big deal. Once again, Microgaming, the casino software giant, has managed to impress the gambling industry with the release of two exciting new mobile games. The announcement of the newly developed Ladies Nite and Spring Break mobile slots games designed for HTML5 now confirms that the software developer and industry leader, Microgaming, offers the largest array of mobile casino games that are compatible across an impressive number of platforms and popular devices. A recent press release issued by Microgaming, which is based out of the Isle of Man, indicated that the software company has once again raised the bar with its impressive line-up of games and products, thereby beating out the competition. Microgaming introduced its first mobile casino game in 2004 and now in 2012, it is leading the way once again by working with over 40 brands that include top-notch mobile products. In total, Microgaming offers players more than 75 games to choose from that are suitable for mobile platforms. 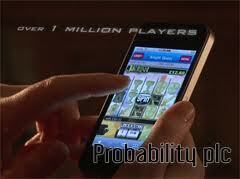 This includes the Quickfire brand, which allows for instant playing of mobile Poker and other mobile casino games. And some of the most popular Microgaming titles include Thunderstruck mobile slots and Lara Croft: Tomb Raider mobile among many other slots games. According to Neill Whyte, the head of “Product Channels” at Microgaming, the company continues to work hard in an attempt to remain at the forefront of mobile gaming. He went on to say that the group is seriously focused on remaining at the top in the mobile gaming market. He explained that as frontrunners in the field, they can’t afford to lose the number one spot and they intend to do so by offering customized solutions for leading brands. He added that the two latest HTML5 games known as Ladies Nite and Spring Break are great additions to the wide array of mobile games already offered. According to Microgaming, HTML5 provides players with the chance to access the best games on a vast selection of mobile devices; and best of all, they can do so from anywhere, and whenever they wish to. Furthermore, they say that the most recent mobile Microgaming slots will quickly become all the rave with gamers. Note that the mobile games created by Microgaming can be enjoyed on more than 3,000 mobile devices such as iPads, iPhones, Blackberries and Androids just to name a few. Players who tap onto the Microgaming game network can choose from progressive jackpots with the chance to win big cash rewards which in some cases can even amount to millions. In fact, Microgaming’s network has already paid out more than 320 million Euros in progressive jackpots. Playtech Limited, a giant in the world of Internet gaming and well-known software designer announced the release of its first mobile Bingo App, created solely for Android powered devices. This new Bingo mobile App will provides gamers with a unique experience which allows them to transition from the web to a mobile platform with ease. It also allows players to participate in 75, 80 and 90-ball games or in favorites like Deal Or No Deal Bingos. Playtech representatives stated that Bingo mobile players will be permitted to access their gaming accounts through the Android mobile devices while also interacting with players on the web. They went on to say that in the months to come, the product would be introduced across the iOS platform for those who have iPhones and iPads. Most importantly, they’ll also launch the HTML5 versions. Playtech has mentioned that the new mobile Bingo service is now available through certain licensees and is scheduled to be released to a select few partners throughout the coming months. What’s so impressive about the new Playtech Bingo is that is allows players to communicate with others, regardless of which platform they’re utilizing. And while they chat with players, they can also play the small games like the Clover Rollover mobile slots game. Rhys Owen, an official from Playtech, indicated that this was a major breakthrough for Playtech and would help it cement its position as a main provider of Bingo software in the gambling industry. Furthermore, he said it would help the company offer licensees impressive liquidity in terms of Bingo and Jackpots through an innovative channel. Mr. Owen indicated that the company has studied the sportbook and Mobile casinos trends, and this led them to develop a mobile service that will appeal to a new group of players. Furthermore, it will provide the licensees with another medium in which to communicate with their customers. 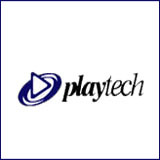 According to Mr. Owen, Playtech has devoted this year to researching what will give players a “user-friendly” entertainment product adaptable to mobile devices. He believes that as innovators in the field of mobile Bingo, Playtech will provide licensees with a distinct advantage over their competitors. Their clients will have a choice of platforms, and this alone will allow the licensees to capture a bigger segment of the market. iPhone users will soon be able to enjoy mobile gambling with real money wagers on their favorite slots games. 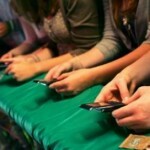 All they’ll have to do is swipe their index finger in their iPhones in order to access the games. Big Fish Games Inc., a Seattle-based company, has announced that it will introduce a new version of its gaming app, Big Fish Casino, in the U.K which will allow players to make real-money wagers on their favorite games. All of this, of course, is legally permitted in the U.K. Apple Inc. will obtain the new app and will distribute it via the App store in the weeks to come so that gaming enthusiasts don’t have to wait much longer. It’s also important to mention that Betable Ltd., Big Fish’s London-based partner, will provide the program through which all bets will be processed. According to Juniper Research, companies that devote their efforts to developing games are creating digital versions of the Las Vegas casinos so that smartphone and tablet users can enhance their overall gaming experience. This means that by the year 2017 $100 billion per year will go towards betting, while just last year players only wagered $20 billion. Despite existing limitations for U.S. gamblers, this is what has prompted Big Fish to begin offering real cash apps instead of the virtual currency apps gamers have enjoyed until today. In a recent interview, the Chief Executive Officer of Betable, Christopher Griffin, stated that since the inception of the Internet, this is truly the biggest opportunity game developers have come across so far. But Big Fish may also face competitors like Zybga Inc. (ZNGA), which known for creating social games, and just last month announced the introduction of real-money apps we should likely be released by the beginning of 2013. In fact, critics say that this may prompt the U.S. to ease up on its gambling restrictions, especially in states like California, New Jersey and Nevada. Mr. Griffin went on to say that today, in the U.K., companies like Betfair Group Plc. (BET), and William Hill Plc (WMH) already offer casino gambling apps to iPhone Casinos users. Beta is working with other game developers to introduce the innovative real-money wagering games this year. Big Fish Casino allows gamers to use credit cards for placing bets. Betable and Big Fish split the “take” or the earnings from each wager made on the slot machines. And according to Tom Neumayr, a spokesman for Apple, even though Apple hosts a wide range of casino applications, the company out of California doesn’t get a cut from the sales made with its gambling apps. He also suggested that all games allowed by Apple’s Stores comply with local laws. Mr. Neumayr refrained from any comments regarding Big Fish. Paul Thelen, CEO for Big Fish, commented that Apple “wants to remain at arms-length” from this. He indicated that Apple doesn’t want to become the “middle-man” in any gaming operations. In the past year, Apple stopped Big Fish from offering a subscription service that would have enabled iPad users to play a number of games for a set fee. Mr. Thelen said that Big Fish, which was founded in 2002, earned $180 million last year. He added that the company expanded to online gaming by acquiring Self Aware Games, a new enterprise out of Oakland, California. Gamblers already wager real money for virtual currency Big Fish games such as Poker and Slots; however, they can’t obtain cash when they win. It’s likely that these players will be more than happy when they’re able to make real money wagers in the near future, said Thelen, who believes that this poses an extremely profitable opportunity. The latest HTML-5 app will provide the best gaming experience for casino enthusiasts who own mobile devices like iPads, iPhones and Android smart phones. All Slots has just announced the release of its latest mobile casino application, which through the use of advanced HTML-5 technology will provide ultra-realistic graphics and crystal clear sound effects. And best of all players will be able to access the application through their mobile web browser without even having to download it. This new app will be user-friendly and will render the best experience for discerning mobile casino gamers. Players will be able to select a game, customize the game’s setting, or study the game’s rules and payouts by merely sliding a finger over the screen. In fact, the games have been designed to fill the device’s screen so as it to make them more visually appealing and easy to play. All Slots HTML-5 now offers its customers a superb selection of eleven mobile casino games to choose from. These include the most favored mobile slots like Tomb Raider with the brave Lara Croft; Mermaid’s Million with King Neptune and the mermaid at the center of the action; and Thunderstruck, a popular game centered around the mighty Thor. They also feature table classics such as mobile Blackjack, mobile Roulette and Video Poker for those who love to play Jacks or Better, Deuces Wild and of course, Aces and Faces. Mobile players will be able to find all the mist popular casino games in one mobile app. Since Apple products like the iPad and iPhone, as well as Android devices by Google rank among the best electronic devices available, AllSlots mobile casino has devoted time and effort to creating the HTML-5 Mobile app in order to complement these super popular gadgets. Anyone who chooses All Slot Mobile Casino will get £5 free No Deposit Bonus for his registration on top of 100% matching bonus of up to £200 for making an initial deposit. If there’s anything better than enjoying a cutting-edge mobile gaming platform, it’s playing on a cutting-edge mobile gaming platform using free money offered as a reward by the casino. At All Slots, the sky is the limit. Virgin Mobile Casino Announces The Release Of New Classics: Cleopatra and DaVinci Diamonds Mobile! Today marks a great day for the mobile gaming industry. Virgin Games, a name that needs no introduction, has announced the release of two of the most awaited mobile slots games: Cleopatra and Da Vinci Diamonds. The release of these two new classics not only adds to the growing list of top-notch Microgaming games, it also places Virgin in a class of its own. Virgin will now be the first mobile gaming portal to offer exciting games from not one, but several software providers. Furthermore, Virgin Mobile casino will be the first to feature Da Vinci Diamonds through its IGT integrated platform for the enjoyment of all mobile device users. Virgin’s partnering efforts have proven to be beneficial, including the introduction of the IGT rgs™ software which is now part of its bespoke platform. This means that Virgin as an innovator is taking mobile gaming to new levels. Since Virgin will be the first to employ the software on the mobile platform, players can look forward to many new features in the months to come. This recent announcement about the first mobile casino partnership is evidence that Virgin aims to offer the same choices for mobile gamers as it does for its web-based casino customers. In fact, Simon Burridge, the CEO of Virgin Games, stated that when they introduced Virgin Mobile Casino, they hoped to add other game suppliers in the same way they did with their Internet casino. As many players are aware, the web casino now offers a wide range of games from a number of providers. By bringing on new software partners, Mr. Burridge went on to say, the company is moving closer to its goal of providing the top casino entertainment online. For most people, the mobile phone isn’t only used for communicating, it’s also a platform used to discover loads of entertainment. Mr. Burridge concluded his statement by saying that it’s essential for Virgin to continue releasing new gaming content so that players can get the most out of Virgin Casino mobile gaming. It’s also worth mentioning that Virgin Games avails players with the single wallet system which means they can utilize the same account to enjoy Virgin Poker, Virgin Bingo, Virgin Casino and its mobile casino. Gamers can register, fund and manage their account whether via a home PC or a mobile device while they’re on the go. Virgin Mobile Casino can be enjoyed on a number of devices like the iPhone, iPad, iTouch, Android handsets, Windows phones, Blackberry and other tablets and smartphones. Players who know Atlantic City for its vibrant casinos will be able very soon to enjoy their favorite games while sun-bathing by the swimming pool or standing in line at the dinner buffet. Gov. Chris Christie has approved the introduction of new forms of gaming, including mobile casino gambling on hand-held devices. 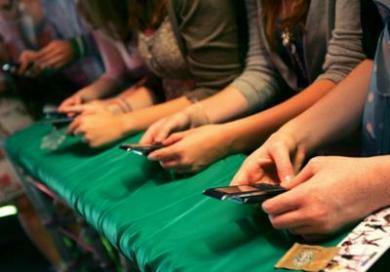 Note that mobile gaming enthusiasts will have to play while on the casino’s property. Assemblyman John Burzichelli, a Democrat from West Deptford and the co-sponsor of the bill signed by Governor Christie, indicated that mobile gaming is a “smart adaptation” of the new advances in technology that will help casinos stay competitive in an industry that’s already crammed with options. Supporters suggested that mobile devices are likely to render gains for the casinos which are struggling in tough economic times. Governor Christie, who is in favor of making Atlantic City’s casinos the center of attention once again, signed the bill in the privacy of his office, without any pomp and circumstance. Today’s laws let casinos feature electronic versions of the games which can now be played on mobile devices only within the boundaries of the casino’s property or the casino hotel’s facility. The devices will be handed out to customers once they establish a pre-paid account with the casino. The mobile hand-sets will also remain under the casino’s ownership. Nevada has approved mobile gambling since 2006 and its laws allow for hand-held device gaming solely in the casino’s public areas. The Division of Gaming Enforcement of the State will now have to introduce new legislation to ensure the integrity of the apparatus and to make certain no under-age individuals will have access to the mobile casinos games and devices. The Division’s director made a few suggestions including discouraging underage gaming by requiring that a PIN number be punched in every number of minutes. These changes are a breath of fresh air for Atlantic City after having experienced a five-year decrease in revenue due to the introduction of casino gambling in the state of Pennsylvania. In realizing its need to go mobile, International Game Technology (IGT) has entered into an agreement with the social and mobile tech firm Joingo. The American enterprise, known for its expertise in computer game design, introduced a new customer-facing mobile application designed to give gamers access to Mega Jackpots. With similar stand-alone applications that employ the newest means of delivering information to an iPhone, Blackberry or Android, as well as Internet and MMS/SMS for special phones, IGT is able to offer service to 99 percent of the population using mobile devices. And according to Steve Boyle, Chief Executive Officer for Joingo, this is quite an achievement in a market that’s so divided. IGT has also stated that its new app employs the type of technology that can determine location; this enables it to supply a mobile device with important information on featured games, where to play, winner announcements and more. Best of all, gamers will be able to access the service through the iTunes Store, Blackberry apps and the Android market. IGT boasts a cornucopia of slot themed games that are like none other in the industry while providing gamers and operators with an unforgettable playing experience. Joingo, the acclaimed mobile and social technology company, will enrich the mobile gaming experience by affording players better access to details relating to their favorite games and by providing them with a connection to social media outlets like Facebook, YouTube and Twitter, thus enabling them to interact and offer feedback. has introduced a new Mobile betting app, created exclusively for iPad tablet users. Betfair announced that this is the first of a number of projects it plans to release from its newly acquired high tech center in the heart of the Silicon Valley, California. Outside of the normal perks you’d expect, it offers a landing page that’s been described as “perceptive.” In addition, it allows for easy accessibility to important events and best of all, it provides live scores. According to Raj Vemulapalli, Mobile Engineering Vice-President and Director of Mobile Technology for Betfair, this app is like nothing else out there; it’s designed to offer the same type of wagering experience as they would encounter on the Internet casino, while taking advantage of the outstanding features that have made the iPad so popular. Mobile devices have taken casino gaming to a whole new level; in fact, many have said that the advance from web to mobile gambling has been a real thrill, more so than the move from regular to online gambling. Betfair guarantees that iPad users will get more enjoyment out of their mobile device now that they have this app. And this isn’t just because it features a “fixed website” function that’s sure to become a game changer. iPad users will also get to try the trader-focused wagering functionality that mimics the one featured on the Internet casino, and will have consistent access to the company’s wagering site. Tony McAllister, Head Technology Officer for Betfair, went on to say that mobile betting has become an intricate part of Betfair’s “bottom line.” And due to this fact, the introduction of a product like this iPad app is considered an enormous accomplishment in the industry. Mr. McAllister commented on the fact that this innovation was designed in San Francisco in just two months, suggesting that the company’s decision to open a technology center in Silicon Valley is proving to be profitable. He hopes that this will be one of many U.S. products to be introduced and that it will help Betfair maintain its lead in mobile gaming. Today, close to 10 percent of Betfair’s betting activity is executed through mobile phones; and forty percent of its clientele makes use of a mobile device for online wagering purposes. casino games on mobile devices, as it means they don’t have to incur the expenses of exchanging their monetary unit for another currency. The mobile platform of All Slots Casino offers the most impressive selection of banking options anywhere. And now, Canadian gamers will discover that the Member Zone features an even bigger variety of options for funding their casino accounts. Canadians know that methods like INSTADEBIT and UseMyFunds are ideal banking options for mobile gaming. Both are now accepted which means it will be easier than ever to enjoy mobile casino gaming from anywhere in the Great White North. David Brickman, Vice-President of Player Affairs of the Jackpot’s Factory, says it’s true that All Slots Casino already enjoys immense acceptance in Canada. He also believes that given the “popularity of smartphones” and the applications they feature, more people are realizing they can take their mobile casinos everywhere they go. And with the addition of the Loonie to the array of accepted currencies, Canadians will certainly consider All Slots Casino as their only and best choice for casino gaming on the go. Aside from having a reputation for featuring unrivaled entertainment, All Slots Mobile Casino has made a name for itself with generous bonuses and a large selection of games. All Slots Casino can be enjoyed in flash version or can be downloaded onto nearly every mobile device, including but not limited to the Iphone Devices, ipad, Blackberry and Android to name but a few. If this wasn’t enough, All Slots Casino has been accredited by eCOGRA and is proud to feature a strict fair gaming policy as well as quick payouts. All Slots Casino promotes responsible gaming by ensuring that under-age individuals are prevented from playing. Furthermore it has taken an active role in assisting those who’ve developed an addiction to gambling. OMI Gaming announces the introduction of Kazuri Casino Module. Those who are familiar with the OMI name know it’s a giant in the industry of mobile and multiple platforms playing. As a matter of fact, the new Kazuri Casino Module represents the latest in multi-platform mobile gaming and will be supported by the most popular gadgets such as mobile phones and tablets; it will also be supported online as well as by a wide range of Internet applications, native apps, and kiosks. With the Kazuri Casino Module, players will be able to access their favorite mobile casino games instantly whether they own tablets, P.Cs or any type of smart phones. The games are easily obtained on the web browser, thus there’s no need for downloads or plug-ins. And the good news is that anyone can enjoy the games on Windows, OSX, IOS, Windows Mobiles, Linux, Androids and any other of today’s web browsers. Gamers can now start winning with the newly released titles such as Princess Fortune and Jungle Fruits. These are offered in the form of mobile Video Slots, accessible on smart phones and tablets. They’ll also be available as full size Video Slots to be accessed through online and kiosk channels. Other top notch games like Benny the Panda, a 30-line, 5 reel Video Slot and the exciting Tres Hombres, comprising 243 lines and 5 reels, also a Video slot, will be available as of the middle of February, this year. Those who like the table classics like mobile Blackjack and European Roulette will have to wait until May 2012 when Kazuri Casino Module will start to feature them. As an added bonus, the Kazuri Casino Module can be easily made part of and plugged right into your wallet or any other gaming platform you have. It comes with the standard features you’d expect; among these is the flexibility to use a number of currencies or view it in any number of languages.